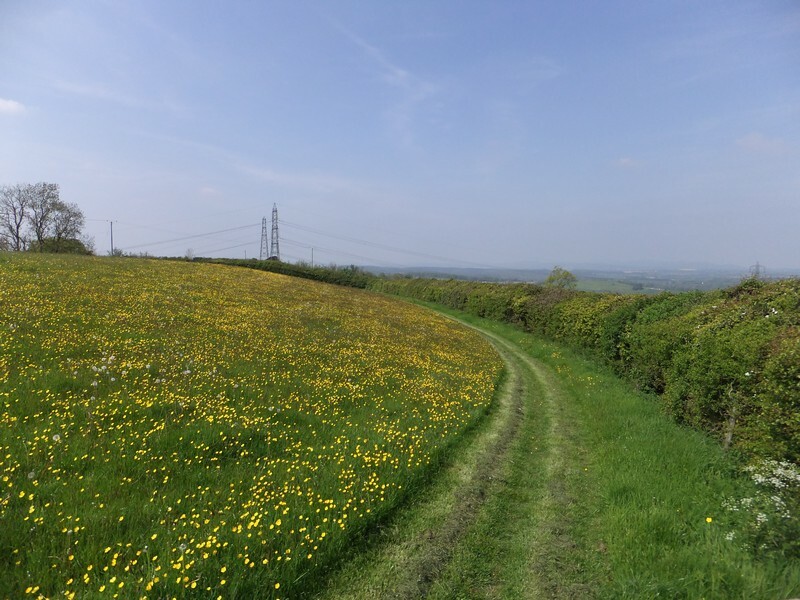 On one of the first sunny afternoons in May, 4 members of DMG steering group visited the land belonging to two members who live next door to each other on the steep sandstone ridge at Lea near Mitcheldean. The setting is beautiful with amazing views to east and west and they are both enthusiastic about wildflowers and wildlife . Their fields have had a similar recent management history; since being ploughed for potatoes a few years ago the land has been returned to pasture and hay is made followed by sheep and cattle grazing. 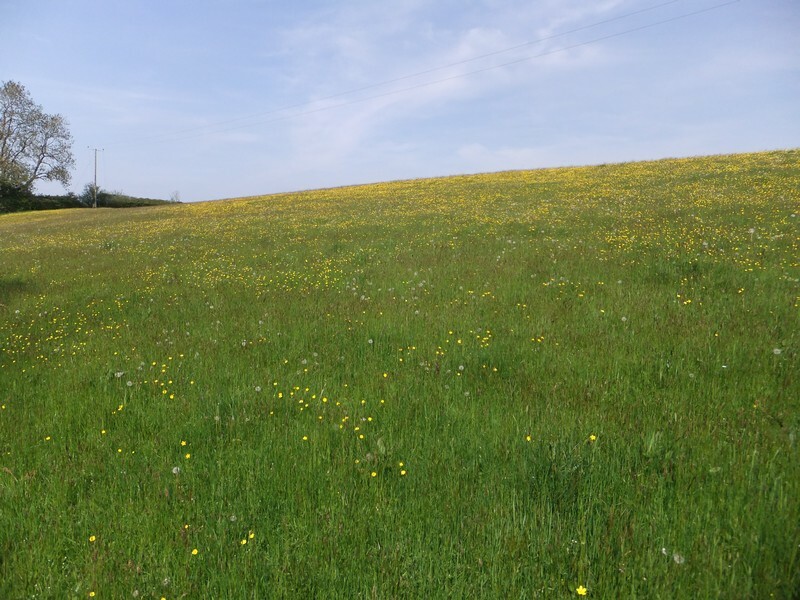 It is unclear how the grassland was reseeded but fortunately there is no sign of perennial rye-grass the most competitive of agricultural grasses. Instead both fields have a good range of the fine native grasses. Though the range of wild flowers is quite small at the moment bulbous buttercup was giving a great show and other species may appear later. The boundary hedges contained a number of shrub species and in places had an under-flora of various ancient woodland indicator species such as bluebell, greater stitchwort and dogs mercury. This land is an island of sympathetically managed habitat in a sea of intensively managed, mainly arable farmland. This probably explains the low plant species list as there are no seed sources for colonisation of wild flowers nearby. 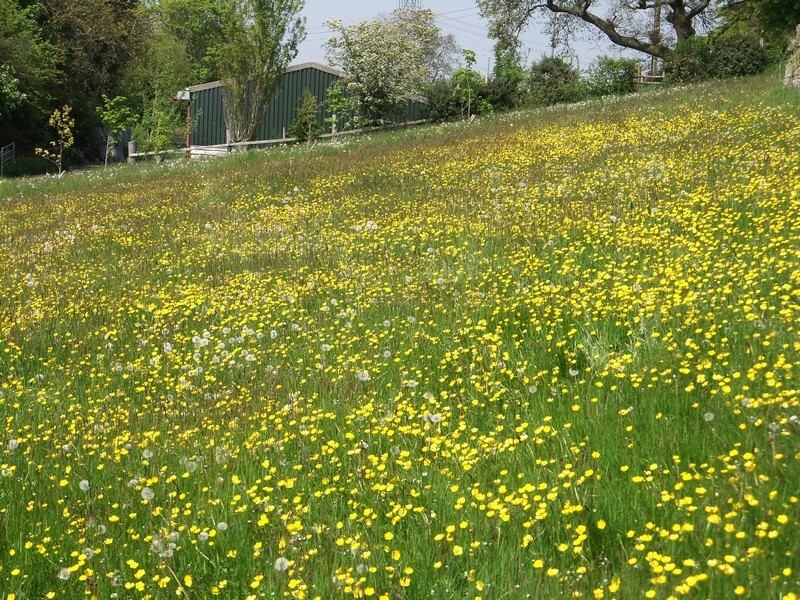 With the existing good basic range of native grasses and the hay/grazing management which is steadily reducing fertility there is a very good situation for introducing more native wildflowers by seeding using collected seed or species-rich hay. Yellow rattle seed was recommended so this semi parasitic plant can further reduce the grass bulk. A start can be made in a small area from which when established the plants should spread out into the rest of each field. 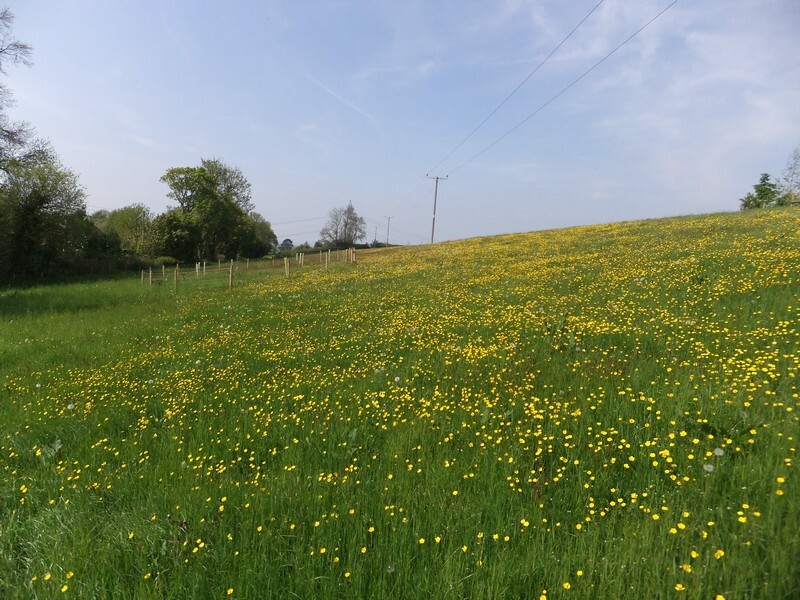 A short report for each site , detailing the species seen, their current status and drawing together the best advice for improving the habitats is being prepared.